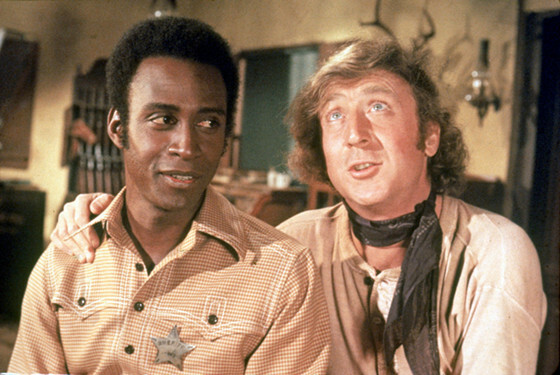 Context: The delightful title song “Blazing Saddles” greets us as the film opens as well as shots of the old West and many men working on building a never-ending railroad track. The camera stops on a bunch of men working hard but not getting much done it seems. Lyle (veteran character actor Burton Gilliam) takes it upon himself to try and motivate the men through the humorous opening line. After saying the line, the men laugh and works of the workers faints. Lyle has no sympathy and orders he will not be paid for today. Why is it great: The temperature is plenty hot at 114 rather than 120. It also serves as introduction to Lyle before he has to deal having to figure out how to motivate the other workers and coming up with an appropriate, but very politically incorrect “work song”. Mel Brooks humor at its finest. Usually fairly obvious, a lot of the toilet variety but still quite hilarious. Context: After listening to a version of the song “My Favorite Things” by The Lennon Sisters, you hear voiceover by Raoul Duke (Johnny Depp) who says the line. 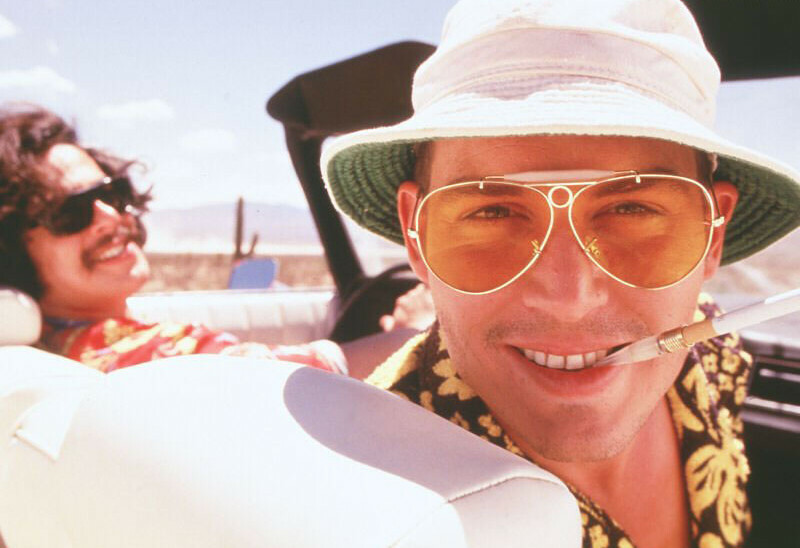 The scene immediately cuts to Duke and fellow drug-filled compatriot Dr Gonzo (Benicio Del Toro) as they race across the Las Vegas Desert in their rented Chevrolet Impala convertible. Duke is to write a magazine article about a motorcycle race happening very soon. Why is it great: The line pretty much sums up the entire film. It’s all about excess of every kind. Drugs, debauchery, hotel rooms and more drugs. Many colorful characters fill director Terry Gilliam’s film based on the book by Hunter S. Thompson. It’s hard to say whether it encourages or discourages their use as you see plenty of both the good and the not so good throughout the film. There is also lots of vomiting. Context: The opening scene is fantastic as not only watch the opening credits and the brilliant Alan Sylvestri score, but we also follow a falling feather as it dances and waves through the Savannah, Georgia sky. 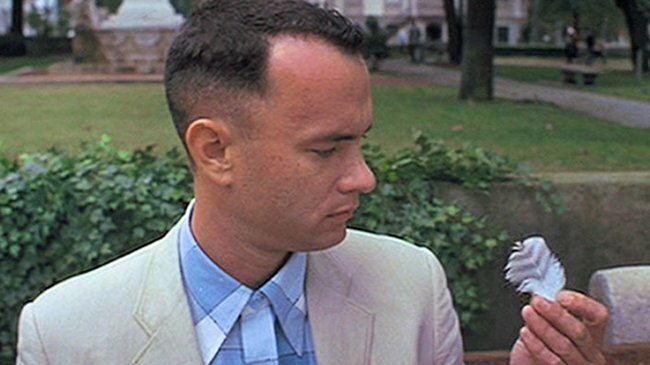 The feather ends up being caught by simpleton Forrest Gump (Tom Hanks) who collects the feather in the pages of his “Curious George” book while waiting at the bus stop. Why is it great: The line is said in many forms throughout the film as Forrest meets many bystanders as he tells his tall tales of his extraordinary lie and the many famous people and profound world events he participates in. 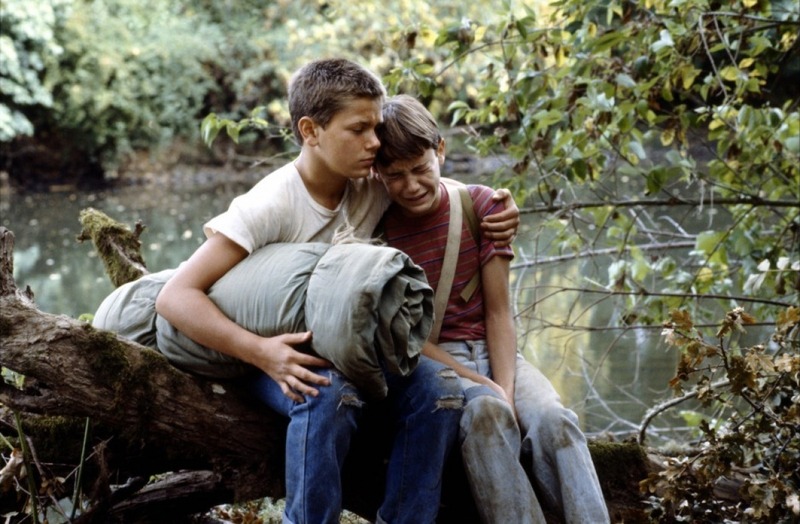 It gives a quick introduction to Forrest as he quickly befriends and engages in conversation with everyone he meets. Context: Fanny Brice (Barbra Streisand) is coming up to the New Amsterdam Theatre playing the “Ziegfeld Follies” with her name in lights. She enters and walks through various rooms full of props and furniture before walking past a full length mirror. She gets a glimpse of herself in her cheetah print coat and hat and is impressed with what she sees. She pouts at her image and says the line. She proceeds past, looks out into the empty auditorium and eventually begins to remember events of the past. Why is it great: Those two words showcase the actresses personality and ego while making fun of herself all at the same time. She knows who she is and has no problem with the image she sees looking back at her. It also lets the audience know very quickly a lot about her. It is also #81 on the list of the AFI’S 100 GREATEST MOVIE QUOTES OF ALL TIME. 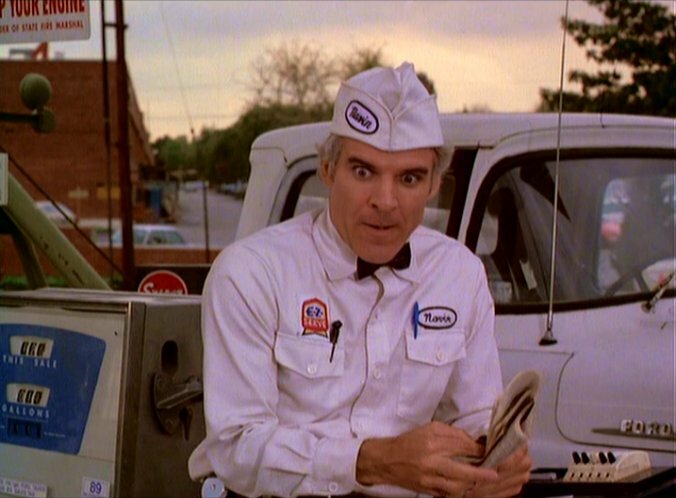 Context: Navin R. Johnson (Steve Martin) is sitting at the base of a staircase with other homeless people when he catches wind of his name or that someone may be talking about him. He explains the line as the credits roll and the camera slowly comes closer. He also hear a lonely saxophone playing in the background to solicit sympathy. Why is it great: Clearly, Steve Martin is not a “poor black child”. His explanation is hilarious. It is so ludicrous especially when combined with the subsequent scenes of his family and many siblings in Mississippi and their interactions and conversations with each other. All Navin wants to do is fit in with his family and doesn’t understand he was adopted. 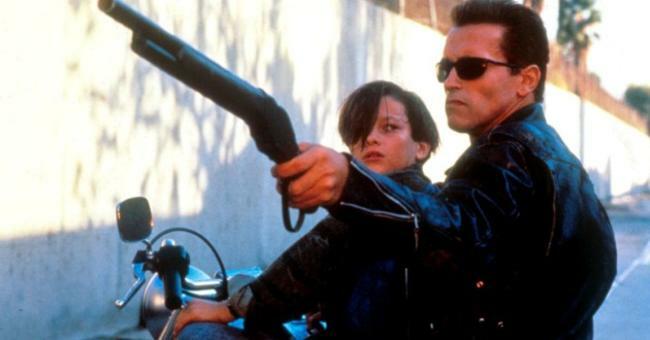 Context: Much has transpired since Sarah Connor (Linda Hamilton) crushed the original Terminator in a machine press at the end of the first film. The 2nd film begin to try and explain those events. The line is said followed by the opening credits featuring the grisly images of a school playground set ablaze by nuclear fallout. Why is it great: This one is purely selfish on my part. One of the greatest action movies of all time along with one of the coolest opening credit sequences of all time. All of that is secondary to the fact my 26th birthday was August 29th, 1997, and always thought growing up “what a horrible way to spend my birthday”. Luckily for me (and everyone else) it was just a movie and “judgement day” never happened. It was also interesting you had to input that date (082997) on your DVD remote control to watch the “Ultimate Edition” of the film when it was first released. Context: Richard Dreyfuss is credited only as “The Writer” as he begins explaining through narration the trip he and three friends took in 1959 across the railroad tracks singing songs when he was a kid. He is sitting on a lonely country road by himself. A memory sparks due to him reading a newspaper article about a former childhood friend who was fatally stabbed in a restaurant. The opening line ties directly to the film’s major storyline and you are interested in witnessing the journey. Context: Ballerina Nina Sayers (Natalie Portman) stands alone on a darkened stage and dances alone under a spotlight. She performs various pirouettes and jumps before settling and being joined by a male dancer. The two execute more moves while Nina looks unsure of herself. Nina awakens to discover it was only a dream. The bones of her sore feet crack as they hit the floor of her apartment she shares with her overprotective mother (Barbara Hershey). Why is it great: The line hints at several central themes of the film including Nina’s slow descent into dementia as well as her ability to gracefully execute the part of the White Swan, but has difficulty embodying the evil of the Black Swan. One of the many struggles she will have throughout the film all set in motion by this line.